The McKim building is the most architecturally and historically important of the Boston Public Library Buildings, constructed in 1885 by the nationally renowned Boston-based firm of McKim, Mead & White. 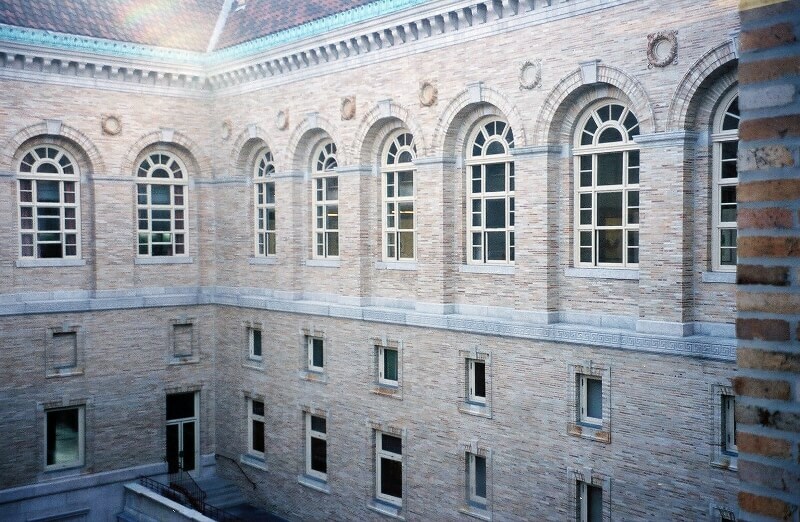 Restoration work at the Boston Public Library was first conceived of in 1980, when the Trustees of the Boston Public Library received a planning grant from the Massachusetts Historical Commission that allowed for a feasibility study for the restoration to take place. The phase one restoration work began in the early 1990s and spanned five years, with phase two beginning in 1996, directly after phase one completion. The work completed by Muckle was part of the massive phase two restoration, managed by Lee Kennedy Company, which included work to the Sargent Gallery, Webster Room, Cheverus Room, Changing Exhibits Room, Abbey Room, Trustees Foyer & Conference Room, plus MEP and HVAC upgrades.